HP's WebOS is the underdog in the smartphone fight, and the company's insistence on releasing phones with physical keyboards hasn't helped. But that may change if a rumor from PreCentral proves accurate. 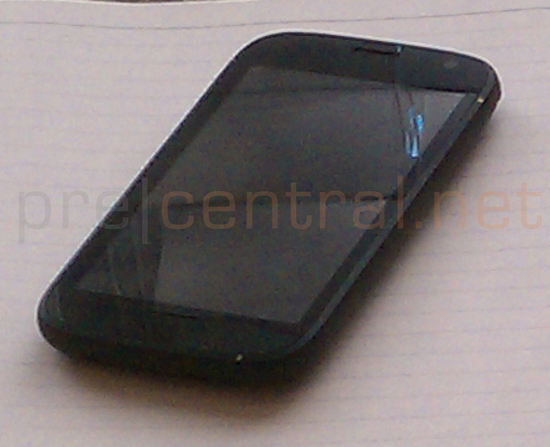 The blog has posted a picture of what appears to be a keyboard-free WebOS phone, codenamed "Stingray." Unfortunately, PreCentral's anonymous tipster provided no other details on the device. To date, all of HP/Palm's phones have used physical keyboards, including the upcoming Veer and Pre 3. The current version of WebOS doesn't even include an official virtual keyboard (unofficial solutions exist), and although WebOS 3.0 will provide a virtual keyboard for HP's TouchPad tablet, the keyboard reportedly won't be available for phones. That makes me think this Stingray phone is farther off than the spring and summer release dates that HP is promising for the Veer and Pre 3, respectively. I'm surprised it's taking this long. Although the physical keyboard hasn't died out -- my colleague JR Raphael was right on that one -- it's unheard of for a smartphone platform to completely ignore virtual keyboards. Count me among the users who are willing to sacrifice tactile feedback in exchange for a thinner, lighter device. Hopefully this rumor pans out.